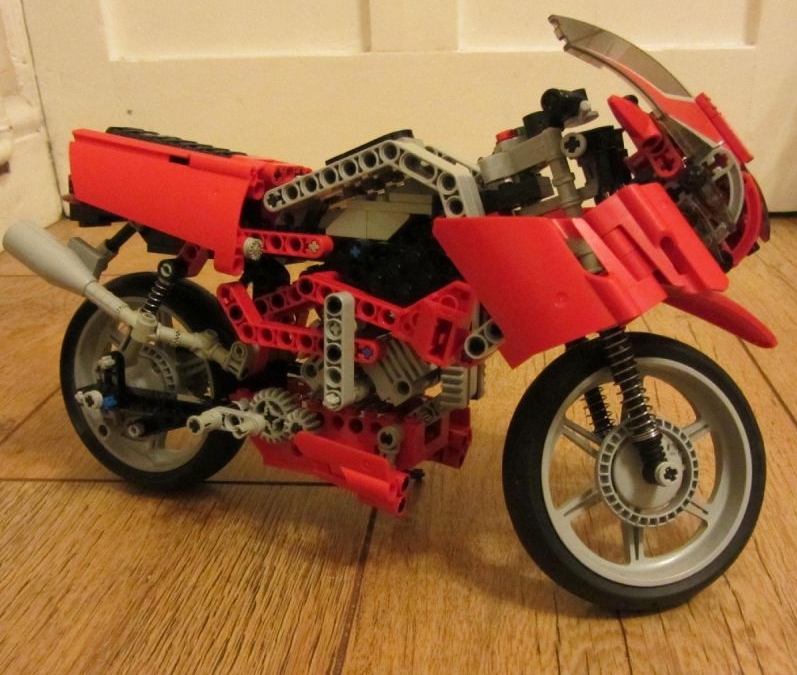 This huge bike is the most recent build from Daniel Wareing. Daniel as made 16 bikes till date that can be seen on his mocpage. They are essencially vintage LEGO bikes (studded). 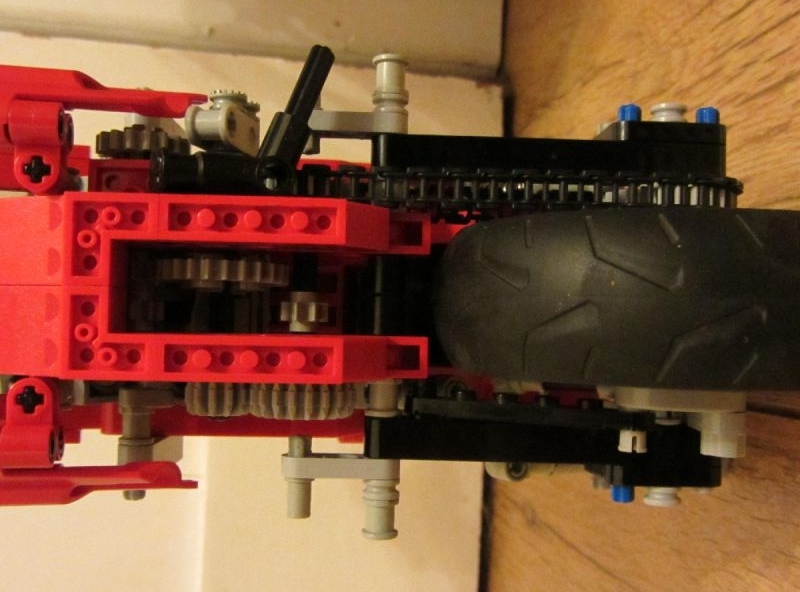 I really like the first picture with the exhaust and rear brake details, nice details! 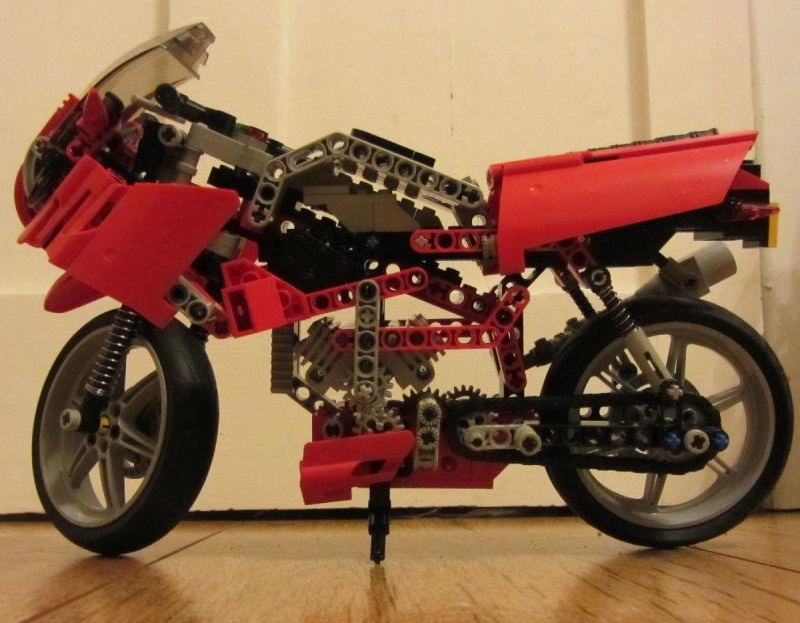 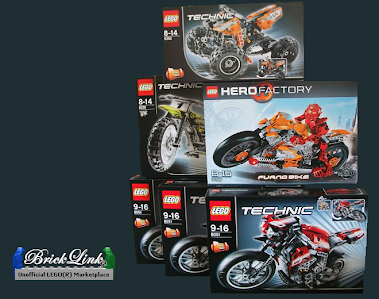 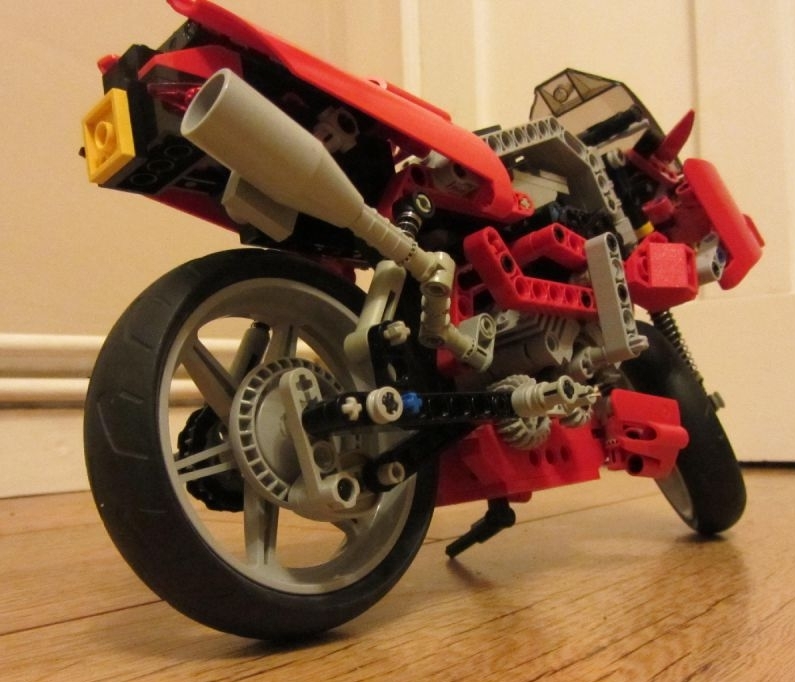 This site is not sponsored or directly related to the LEGO (r) or other company mentioned here.. Powered by Blogger.